Just by watching our doc, Winning, you can get a real sense of Paul Newman’s sense of style and love of competition. That spirit lives on as his beloved Daytona watch goes up for auction later this year. The sale may result in the item being classified as the world’s most expensive Rolex watch. On October 26th, the iconic piece will head to the Phillips’ New York Watch Auction: WINNING ICONS — Legendary Watches of the 20th Century. Paul’s in classy company: other legendary watches on the block include those owned by Jackie Onassis, Bob Hope and even Al Capone. This Newman Daytona was owned by Paul himself, but is actually part of an entire line of high-quality Daytona watches. It’s currently appraised at $1 million, but may generate enough excitement to demand an auction price as high as $5 million. Celebrity-owned watches are always an exciting part of any world-class auction. 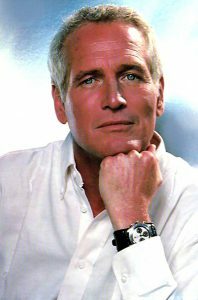 However, this watch has special significance: it was never sold publicly before, and the piece Newman owned earned the mythic nickname, the Paul Newman Daytona. The Paul Newman is so desirable for so many reasons, one of which is the undeniable fact that the thing is just downright gorgeous. The playfulness of the dial is so beautiful, so very un-Rolex. On the wrist, a Paul Newman is hard to match. And, because it’s so well known, they are about as liquid as any watch in the world, even at the astronomical prices that we see now. The post also goes on to say that there is no technical difference between a Paul Newman Daytona and a basic Daytona beyond the type of dial it features. As well, there are more fake Paul Newman dials in circulation than there are real ones, so care must be taken — and expert advice sought — when purchasing. Color combos: there are only four of them. A “panda” dial with black background and white chronograph totalizer subdials; an inverse panda with white background and black chronograph totalizers; an inverse panda with cream-colored background and black chronograph totalizers; anthracite-colored background with white chronograph totalizers. “Exotic” dial: a red scale which circles the perimeter of the dial. Proceeds from the sale will go to the Nell Newman Foundation (Nell is Newman’s daughter). The foundation awards grants in ten core program areas: environment, education, arts & culture, spiritual, scientific, human services, emergency relief, animal welfare, and international affairs. Click here to check out Winning: The Racing Life of Paul Newman. You’ll then truly understand what puts Paul Newman in the driver’s seat. By 1960, the Big Three American automakers — GM, Ford and Chrysler — were on top of the world, responsible for nearly 100% of car sales in the United States and almost half of all sales abroad. Gasoline averaged 31 cents per gallon, and a typical car price hovered around $2800. The American product was unanimously big, strong, and flashy, with gleaming (but needless) chrome and ever-growing tail fins. The advertising and marketing was loud, patronizing, and in some aspects, false. That didn’t stop sales from going supernova in this feel-good postwar society that prized materialism and conspicuous consumption. Of course, the times were a-changin’. As shown in the Chassy documentary, The Bug, Germany’s little miracle, the Volkswagen Beetle (nicknamed The Bug), was so odd and so much of a square peg that it was practically ignored in America at first. However, housewives needing second cars and the coming-of-age Baby Boomers began to catch up with it, understand it, project its own individuality onto it. Heads were turning toward economy, durability and uniqueness. Smaller foreign cars were just beginning to crack the market. The Bug took time to gain traction, but once it did, it gave the Big Three a run for its money. 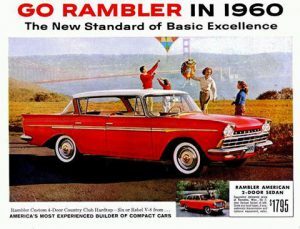 Aside from the growing popularity of the Beetle, the American Motors Corporation’s Rambler also beat the Big Three to the economy-car punch, with an evolved version of its quirkly Rambler American. It was originally a two-door sedan with a very select customer base, but a four-door was introduced in 1959 and became an immediate bestseller in the new American suburbs. Ramblers were powered by a 170 cubic-inch flathead six or a 259 cubic-inch V8. Not too shabby. To the American auto industry, the VW Beetle was initially a curious blip, but the raging success of the Rambler was a frightening wakeup call. 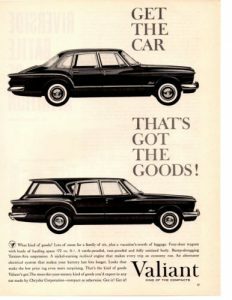 When the Big Three hopped on the smaller-car bandwagon in 1960, that was the beginning of the end for Rambler. It would only live until 1969. 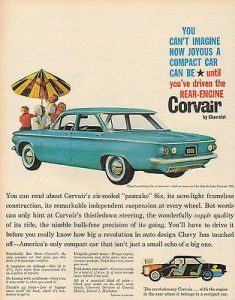 In 1960, Motor Trend magazine called Corvair the “Car of the Year,” but little did it know that it would soon become notorious. Its most noticeable feature was its aluminum, air-cooled rear engine (an obvious immitation of the Volkswagen VW). The problem: rear weight and swing axles (and a lack of a roll bar). This made the Corvair very tricky at handling, especially on sharp turns. Ralph Nader wrote all about it in his 1965 book, Unsafe At Any Speed, which detailed the many dangers the American car industry ignored in its products. The book caused a sensation, and helped lead to government legislation of the industry and enforced safety standards. 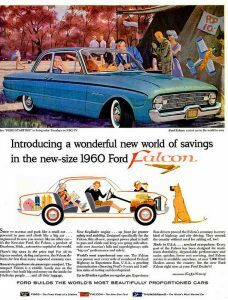 Despite barely having a personality to its name, the Falcon was a hit from the start, selling almost half a million units in its introduction year of 1960. It was powered by an inline 6-cylinder engine, delivering up to 25 miles per gallon. The two-door coupe was its biggest seller, but it was also available as a four-door sedan, a station wagon an even as a Ranchero pickup. 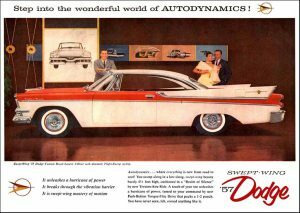 The Comet was a bastardization of Ford models like the Edsel, which had died a sad death in 1960. The Comet survived the Edsel as a standalone (it was sold only through Mercury dealers, in order to shake off the demon). 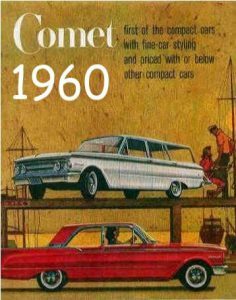 From then on, the Comet aped the Ford Falcon (it was sometimes thought of as “the rounder Falcon”). The car continued to suffer an identity crisis as the decade rolled on — the Comets became wider, longer, less compact-looking. The hazily defined line ended in 1969, but was rebirthed in the ’70s as a Mercury version of the Ford Maverick. The innovative idea of design styling wizard Virgil Exner is what gave the Valiant its above-average flair — it didn’t look small, but it did look sporty, and it purposely lacked excessive tailfins. It simply appeared to be modern. It offered more legroom than the Corvair or the Falcon. As a result, it cost slightly more, but America lined up for it. Chrysler-Plymouth took the Valiant seriously: it was its first new six-cylinder offering since the war, powered by a slant-six engine. It had been developed and tested for years (with the help of early computers). In the end, the Valiant was more about the brain than the body: as Valiants aged, they rusted like crazy. Click here to discover the Volkswagen Beetle’s David vs. Goliath story, and how it aimed its slingshot at the Big Three.